It is officially two weeks from Thanksgiving. Cue the annual disbelief that the time of large family gatherings is upon us (where did the year go?!) and realization that we are not in possession of a turkey (might want to get on that). While many families go the traditional pumpkin pie route for Turkey Day, our family is apple pie people. Flaky crust, soft apples, and a huge scoop of salted caramel ice cream on top – dessert rarely deviates from this in our house. But as much as I love regular apple pie during the holidays, what about the regular fall day? I pondered this question when I was scouring the internet for healthy fall dessert recipes to bring my godfather who wasn’t feeling too well. I wanted to bring a warm, comforting dessert, but I didn’t want to give him something that was too high in fat and sugar. 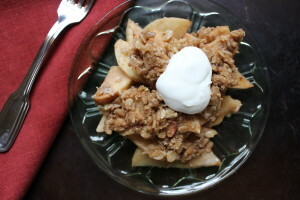 And I stumbled upon a healthy apple crisp recipe from the American Diabetes Association. 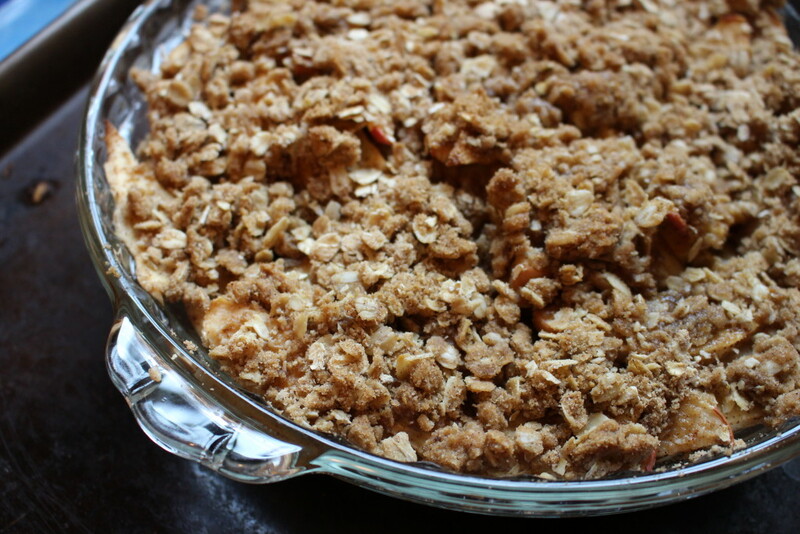 With a little tweaking, I decided that this was a great “every day” apple crisp recipe… especially if you have an abundance of apples like I do this time of year! It starts with some apples. Since there is no sugar in the filling of the crisp, I recommend using a sweeter apple that is still firm, like a gala or honey crisp apple. 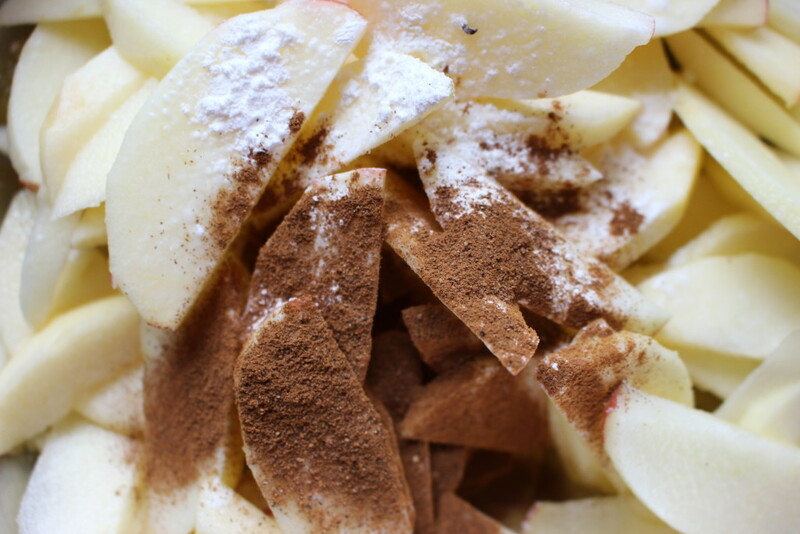 A firm Granny Smith apples are a little too tart for this dessert and a sweeter, yet soft, Red Delicious apple will break down too much during cooking. On top of the apples, I poured over some apple cider. And some water. 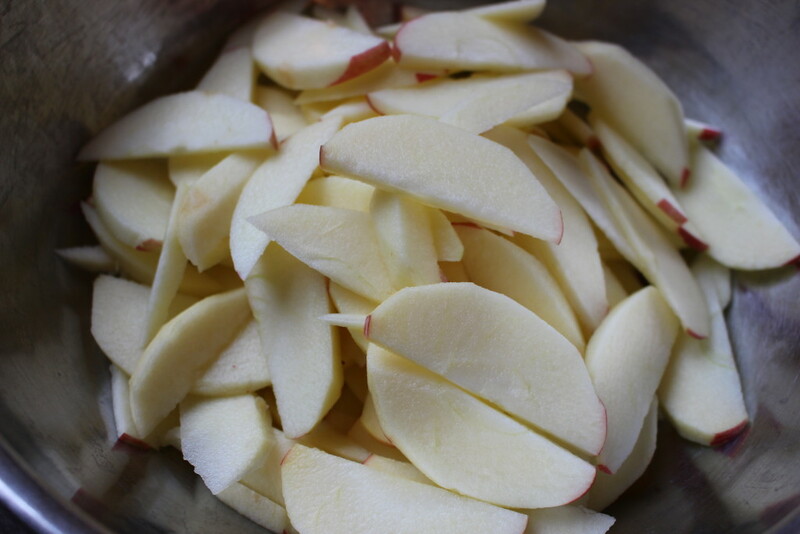 This will help the apples soften and cook. 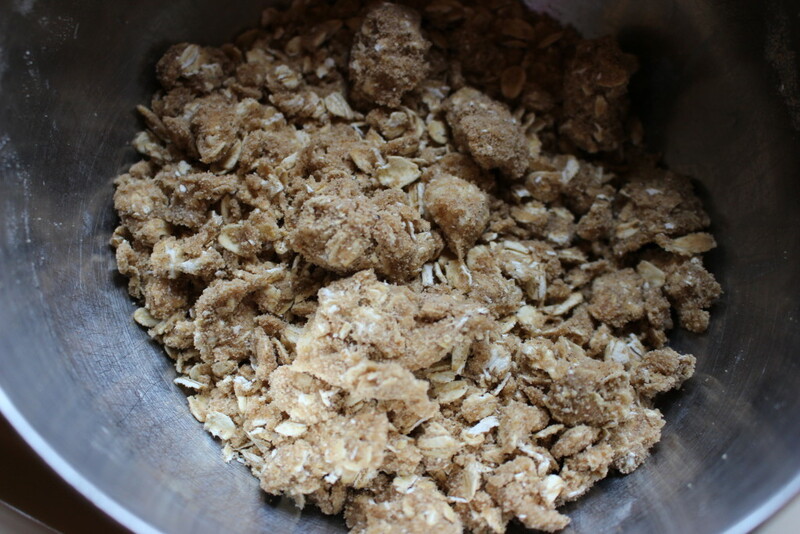 Then I added some corn starch (to keep the filling together), cinnamon, and nutmeg. This filling is delicious the way it is but I understand if you want to add a little sugar here (up to 1 tablespoon) – this dessert is not as sweet as a traditional crisp, but I promise that it is just as delicious! 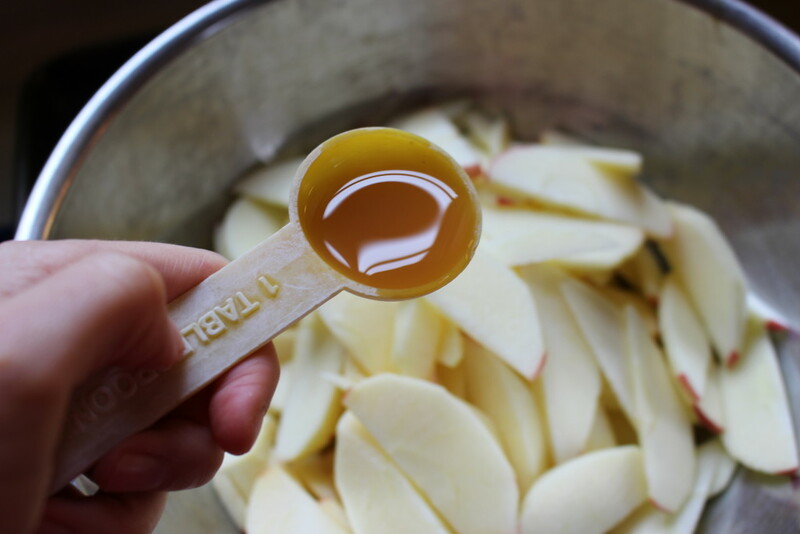 Stir the filling thoroughly, making sure to coat the apples in the cider and spices. 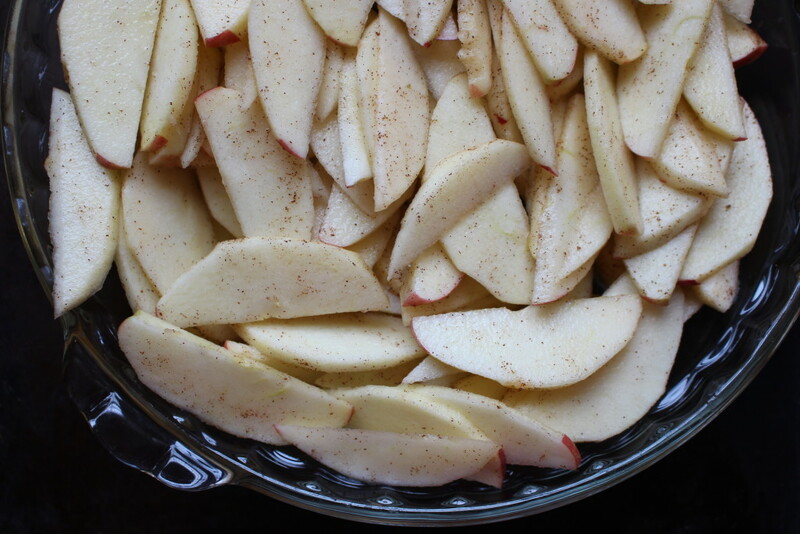 Pour the apples into a greased 10-inch pie dish and arrange them into an even layer. All that’s left to do is make the topping! 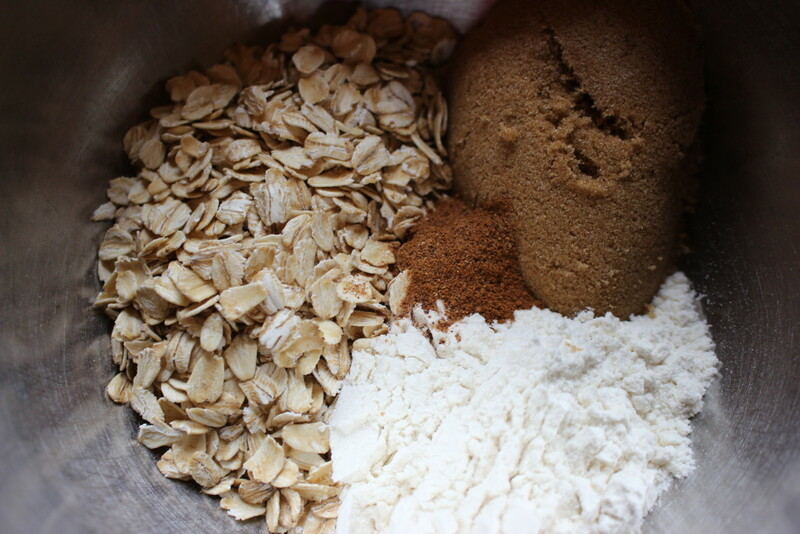 It starts with some rolled oats, flour, brown sugar, cinnamon, and nutmeg. Toss in some cold butter. 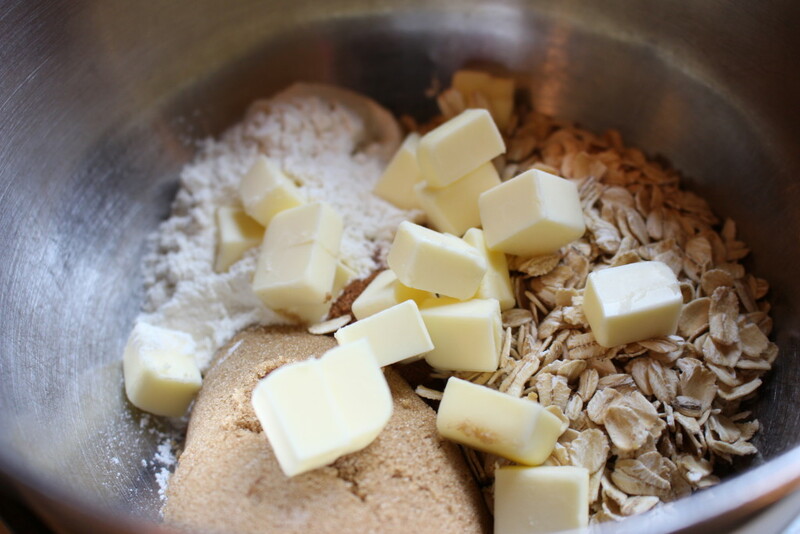 Using your hands or a pastry cutter, quickly work the butter into the dry ingredients until the mixture looks like coarse crumbs. Now we just need to pop it into a 350 degree oven for about 35-40 minutes until the apples are soft and the crisp is brown. 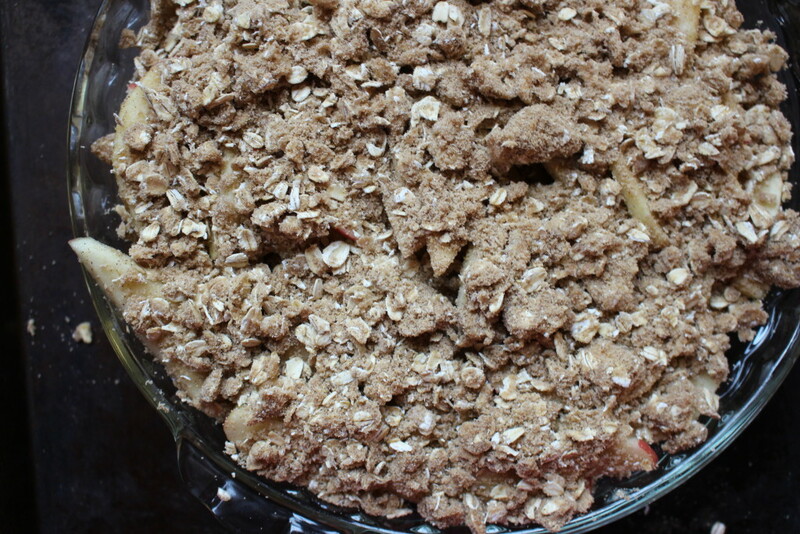 If you peak at the crisp at around the 30-minute mark and the top is brown but the apples are still firm, cover the crisp loosely with foil (to prevent further browning) and bake for an additional 8-10 minutes or until the apples are soft. Serve with a dollop of sweetened whipped cream or a bit of ice cream. A Simply (RD) Fact: Did you know that apples are a part of the rose family? Other members of the rose family are peaches, pears, and cherries!